Drift plans to grow its team this year. 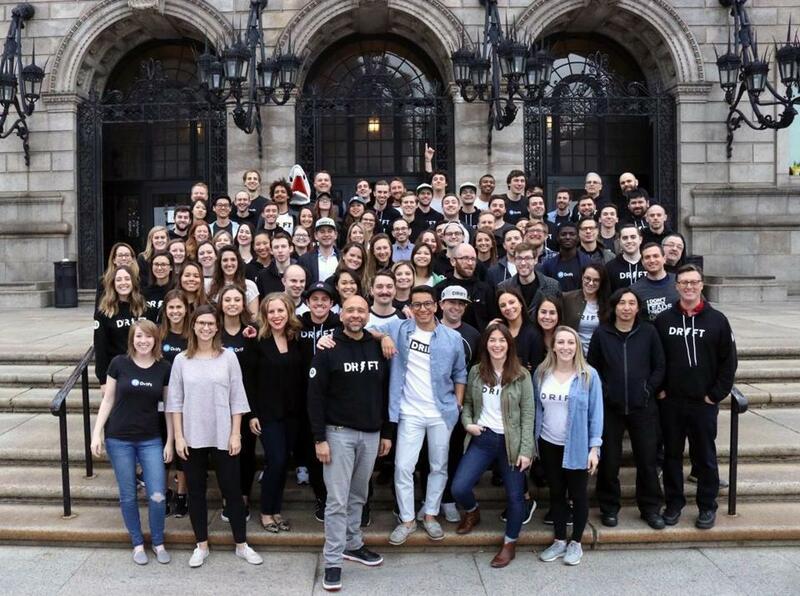 Boston startup Drift still had tens of millions of dollars in the bank from its last round of fund-raising when one of the largest venture capital firms in the United States came calling, looking to give it more. In the tech world, you don’t usually say no to Sequoia Capital. And so on Tuesday, Drift announced that Sequoia had led a $60 million funding round, leaving the company with $90 million on hand. “They thought if we had more capital we’d be making some big bets for the future that we wouldn’t be making right now,” chief executive David Cancel said. Drift makes pop-up chat windows that companies use to engage customers on their websites. Cancel said the company could move beyond online chat into other modes of communication, such as video. He said Drift is responding to a change in how companies buy things, in which individual employees now make their own purchasing decisions and not some central office. Drift wants to be the intermediary that allows those transactions to happen. Cancel said that while VC money is relatively easy to come by now, he knows those conditions won’t last. “We don’t need to raise money now, but we know how much money it’s going to take to build this pillar company in Boston that we’re all committed to, so if we can work with someone we really admire and trust, let’s do that,” he said. General Catalyst and CRV, also early supporters, were part of Drift’s latest funding round. The company has now raised a total of $107 million and plans to grow its workforce in Boston and San Francisco. It now has 130 employees and hopes to add 100 more this year. Drift is also moving from its headquarters at 100 Huntington Ave. to a larger space at 222 Berkeley St.